We are thrilled to be able to serve you for your most important events! 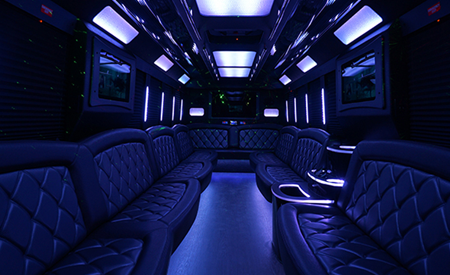 When it comes to choosing a luxury entertainment transportation solution, don't you want the best of the best. It is not like you have special plans all of the time and why not make your outing as amazing as it can possibly be. And we are proud to wear the moniker of being the best. It is our absolute passion to bring our phenomenal vehicles and service to as many people as possible. One experience with us and you will never look back we promise you. Something that last riders have always appreciated about us is the fact that the party never ends in one of our awesome vehicles. And when you combine an area like Washington DC with our form of entertainment, you are going to have to pinch yourself to check whether everything you are expreiencing is real. You can literally spend weeks exploring DC and we know that you are not going to want to miss a tour of the National Mall, the Smithsonian Institution, the Rotunda of the Capitol Building and Arlington National Cemetery just to name a few. It is difficult to describe how amazing our vehicles are but we will try. We only acquire the highest quality vehicles in the first place. We then take them and install some of the most fun and exciting amenities and features you could ever imagine being on a moving vehicle. We also like our customers to know that we take their safety very seriously. So, we have certified mechanics on staff who regularly inspect and maintain our entire fleet. That means that all of our vehicles are on the ready when you need them. And it also means that there is no need to worry about breaking down and being left stranded on the side of the road or not being able to get to your destination. We also hire professional detailers who meticulously clean every inch of our interiors between uses. In terms of driving, our company only hires certified and experienced drivers who know the area roads very well. They also are equipped with GPS which means there will be no getting lost. This brief description does not do justice to how astounding our vehicles and our services are. We encourage you to put us to the test. As you consider which way that you want to go for your transportation, we have to tell you that you have come to the perfect place to start your investigation. We highly recommend that you peruse our entire website and learn everything that you can about what we do. Have a notepad and pen nearby so you can jot down any questions or concerns that might crop up. Pay particular attention to our vehicles page where you will be able to view some of our outstanding vehicles and our frequently asked questions page just might have some of the questions that are on your mind. When you have learned all that you believe you can from our website, contact our customer service office. Our knowledgeable and courteous customer service agents are available 24/7, 365 days a year and they absolutely love talking about what we do and what we can provide. We can promise you this. You will never be pressured into making any kind of decision. If all you want to do is talk and ask questions, that is certainly fine with us. But when you do feel like you are ready to take the next step, one of our specialists will be more than happy to walk you through our easy and painless booking process. Our representatives are experts at fitting groups to the perfect vehicle. But truly, you are not going to want to miss the difference we make when it comes to traveling around town and making your plans that much more special. Contact us today and let's start a discussion. We look forward to hearing from you. The DC area is home to one of the most diverse and interesting night-life scenes in the world! 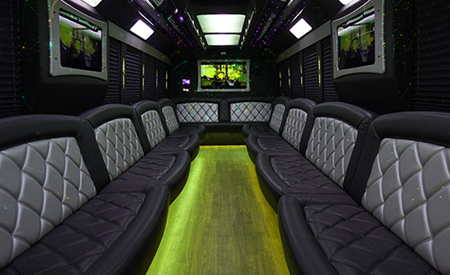 Explore the VA scene in one of most stylish ways possible, renting a limo bus from us. 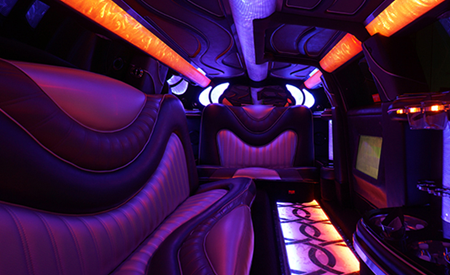 Of course, there are many more uses for a limo or party bus than just to party. The luxurious accommodations provided by our vehicles are suitable for business transport, weddings, and countless other classy events. VirginaLimo plays host to some of the most fascinating and sensational functions in the country! It is fortunate you are here with us to be able to take part in the revelry. Licensed and inspected by the D.O.T. We are open every minute of every day!